Cacciucco - POV Italian Cooking 100th Episode! The aroma that emanates when making Cacciucco on the stove is only bested by the taste! 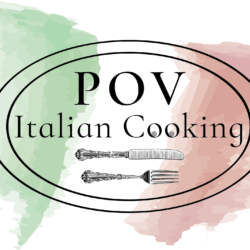 In episode 100 of POV Italian Cooking, I make Cacciucco, an Italian fish stew that originated in the coastal towns in the Tuscany and Liguria regions. The monkfish, red snapper, clams, mussels, shrimp and calamari in a bubbling broth of tomatoes, wine and fish stock is irresistible!